as well as giving peace of mind to you as a patient, your referring doctor and everyone at our office. Please take a moment to familiarize yourself with a few of the technological devices that we use in order to better treat your endodontic needs. Ever wondered how Dr. Norton can see inside of something as small as your tooth? You guessed it, a microscope. 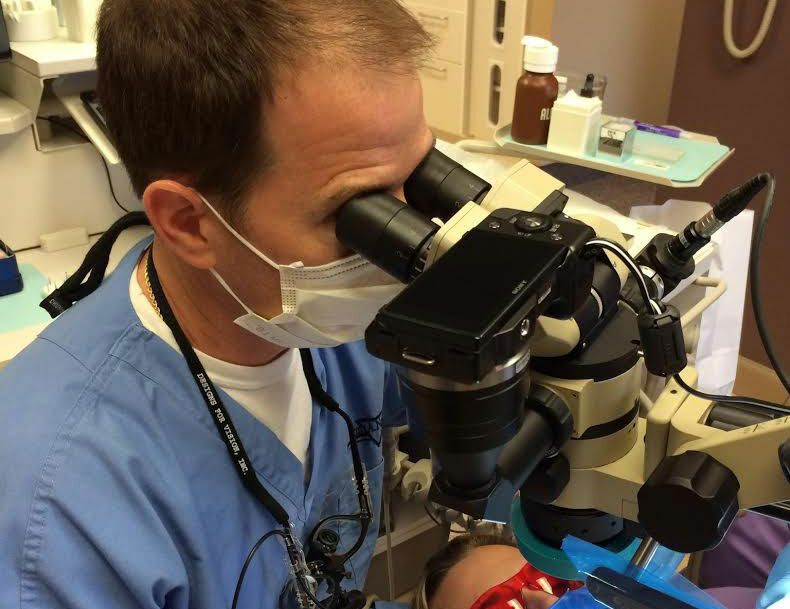 Dr. Norton uses a high powered microscope by Global Surgical Corporation to get a closer and better view inside the root canals of your tooth. By illuminating and magnifying your tooth, the microscope enables Dr. Norton to better diagnose and provide more predictable treatment. Did you know that teeth can be unpredictable and not all teeth are exactly the same? On occasion, a tooth can have unusual anatomy including extra canals, roots with extreme curvature, an obstruction or even a microfracture. Using a microscope further assists Dr. Norton in detecting and treating these otherwise hidden anomalies. Planmeca ProMax 3D CBCT is Dr. Norton’s newest and most fascinating piece of technological equipment, yet. The CBCT technology literally adds a whole new dimension to the diagnostic process. The CBCT allows Dr. Norton to examine your tooth, surrounding soft tissue and bone structure in a 3 dimensional view. The area captured can be viewed in cross sectional images making the most difficult areas to see more visible. 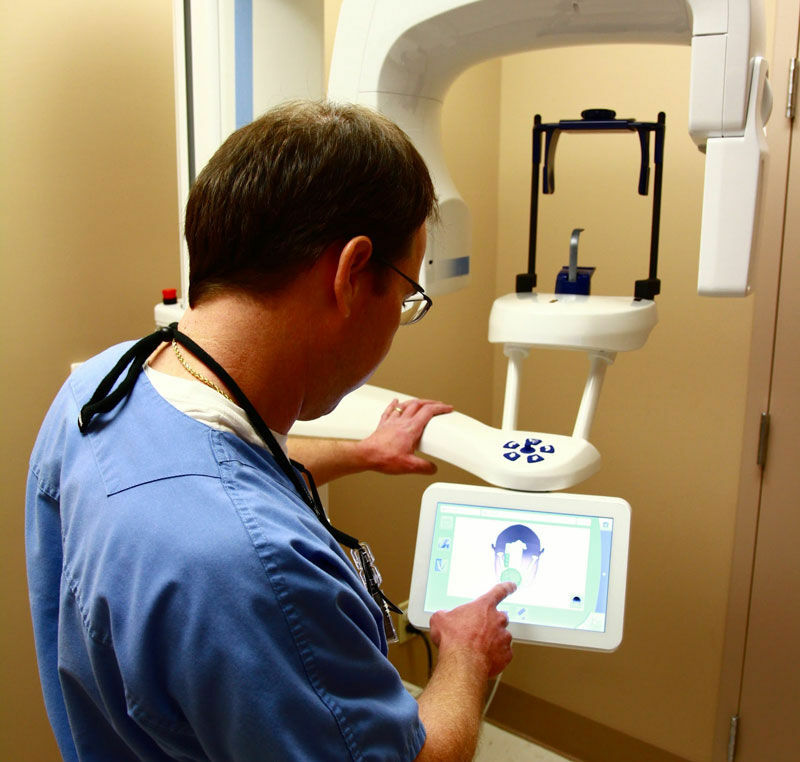 The precise CBCT image is captured digitally and stored electronically. Dr. Norton appreciates that the Planmeca ProMax 3D CBCT device is able to capture the best image quality while using the optimal amount of radiation. This innovative technology is a game changer in dentistry allowing Dr. Norton to see areas of dental anatomy that were not previously possible. In the event a dental diagnosis is more difficult to determine, Dr. Norton has the piece of mind knowing that a CBCT image will allow him to see precisely in and around the area of concern. This high definition 3D image enables Dr. Norton to make a more definitive diagnosis and therefore suggest a more clearcut treatment option.